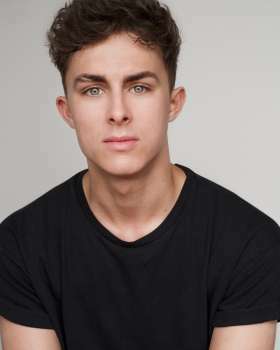 Pearce Barron, originally from Swindon, arrived in London at 12 years old to attend Sylvia Young Theatre School, before recently training at ArtsEd, soon to graduate with a BA (Hons) in Musical Theatre. Ensemble / Dance Captain in Curtains, directed by Sarah Tipple, choreographed by Alan Burkitt. Debuting the role of Race in UK premier of Disney’s Newsies, directed by Luke Sheppard. Pearce has performed in several events at the Royal Albert Hall, most recently as a member of the ArtsEd ensemble for the Olivier Awards. Also a featured dancer in ‘Up Next’ Gala event at the National Theatre.